Today we decided to try and have another day like yesterday, but we were trying a different location. We went out northeast of Carmen a little just to come across a bunch of pangas on some dorado so we joined in on the party. Once again hooking up instantly to dorado. Being sure we could find some good seaweed we left the party and went offshore. Leaving 80˚ water we expected to find warmer water, that was not the case the water was cold and not attractive. 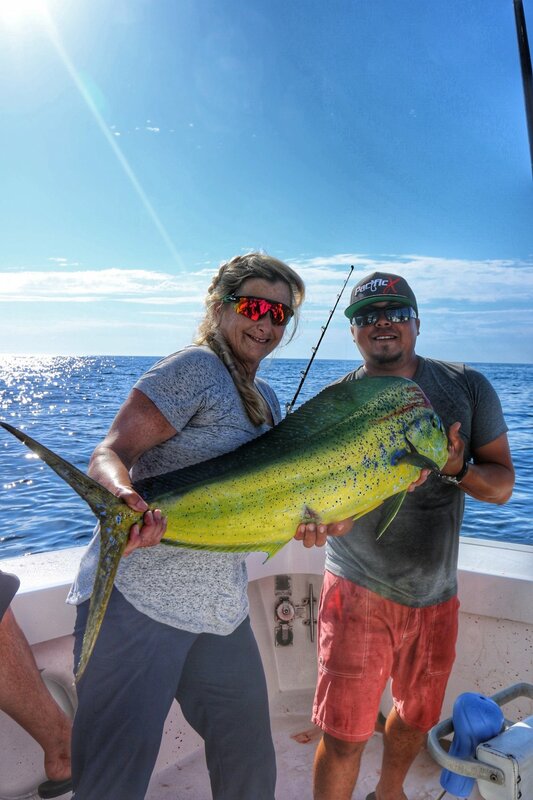 After trolling some more back in the warmer water and catching some dorado we headed back in with another susccecful day in the books.